Micro USB cable. Metal shell connectors with a metallic grey nylon braiding. Perfect for charging and syncing your Android devices. 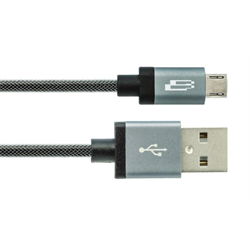 Ideal for charging and syncing your Android devices.